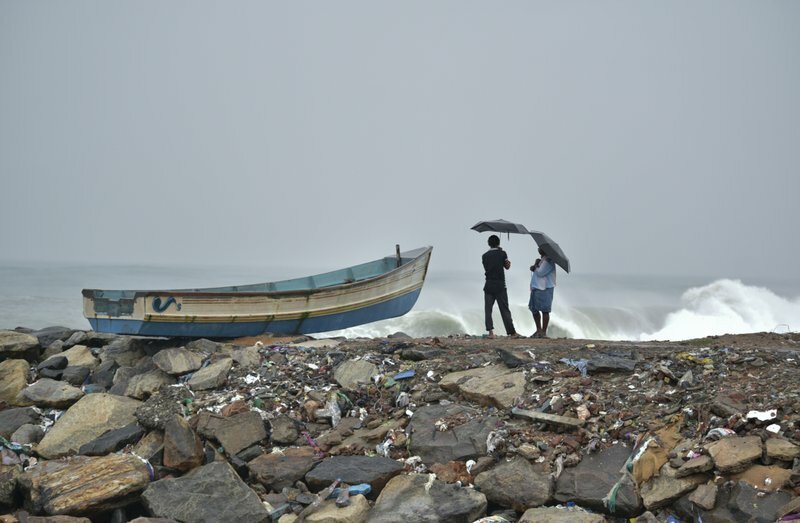 A strong cyclone over the southeast Arabian Sea has triggered heavy rains and strong winds, damaging hundreds of huts, power lines and trees in southern India and killing at least eight people, officials said Saturday. More than 1,000 people have taken shelter in relief centers in Kanyakumari and Tirunelveli districts in Tamil Nadu state, officials said. The India Meteorological Department said heavy rains and strong winds lashed Lakshasweep, a group of 36 islands, on Saturday. 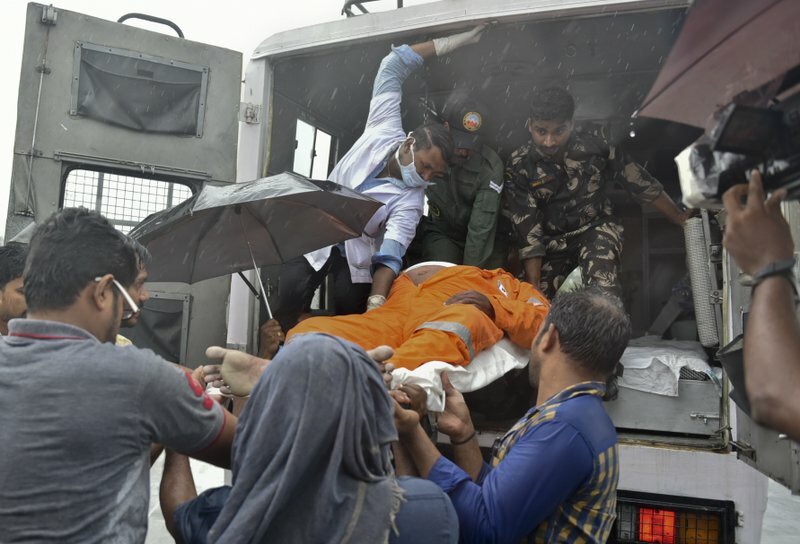 At least eight people have been killed in Tamil Nadu and Kerala states since Friday. Krishan Kumar, a relief agency spokesman, said the casualties were mainly caused by falling trees and power lines. The cyclone is likely to intensify with gusts of up to 175 kilometers (110 miles) per hour and then weaken after recurving in the Arabian Sea, according to India’s Meteorological Department. Television images showed parts of Kanyakumari district flooded and without electricity, with severe damage to power lines. In Kanyakumari and Thoothukudi districts, strong winds uprooted more than 500 trees, snapped power lines and damaged settlements close to the sea. 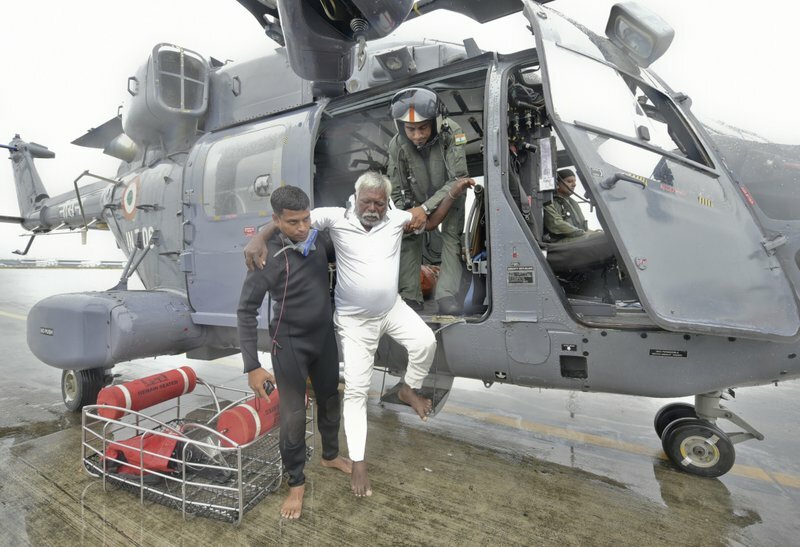 More than 150 fishermen have been rescued so far in Kerala state and another 150 fishermen managed to return to the shores on their own, the New Delhi television News channel reported. 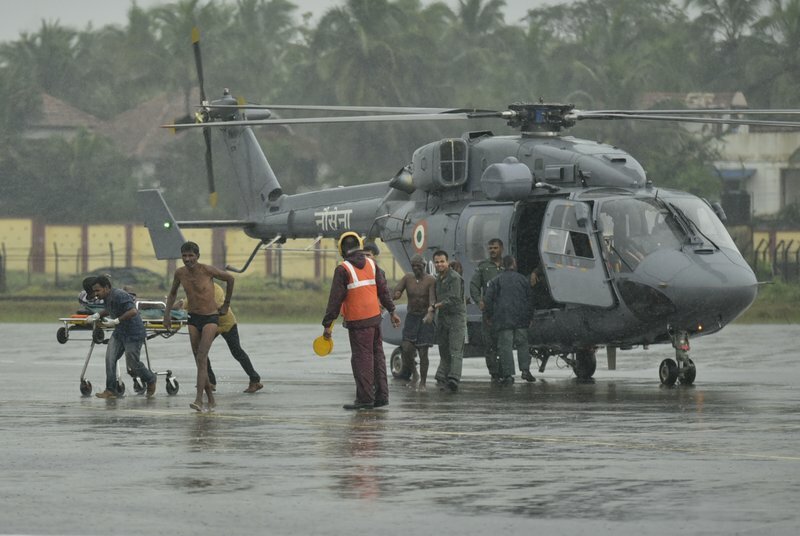 Rescue operations were underway, with the Indian navy, air force and coast guard searching for 14 fishermen unaccounted for in the Thiruvananthapuram-Kollam coastal area. 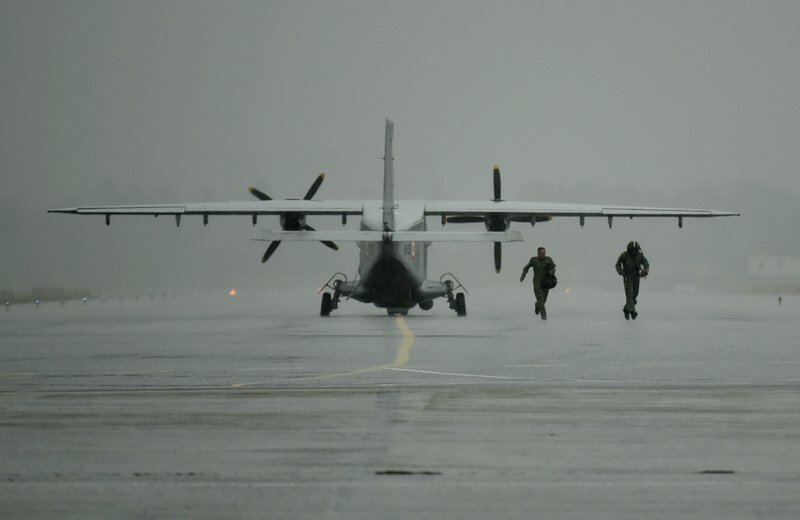 An Indian Air Force plane is seen after it returned from a mission of rescuing stranded fishermen in the Arabian Sea in Thiruvananthapuram, Kerala state, India, Friday, Dec.1, 2017. Dozens of fishermen were rescued from the sea which is very rough under the influence of Cyclone Ockhi. Two men hold umbrellas to protect themselves from the rain as they stand next to a fishing boat on the Arabian Sea coast in Thiruvananthapuram, Kerala state, India, Friday, Dec.1, 2017. Dozens of fishermen were rescued Friday from the sea which is very rough under the influence of Cyclone Ockhi. 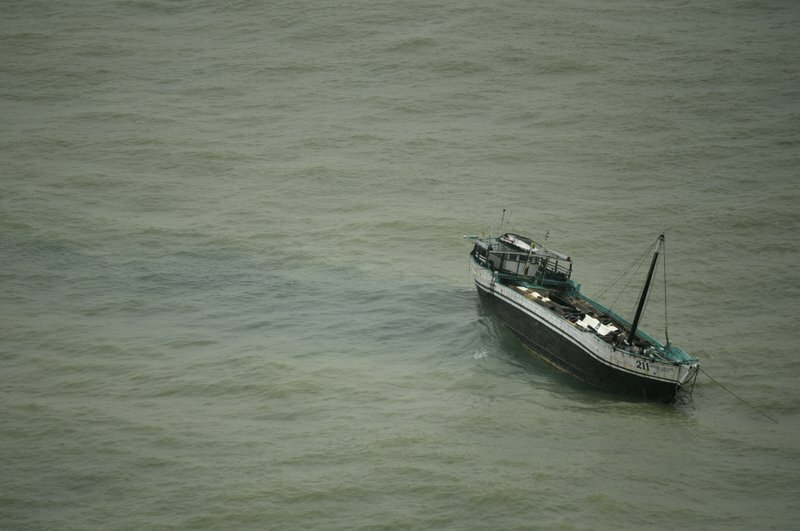 An Indian fishing boat is seen in the Arabian Sea is seen after the fishermen were rescued in Thiruvananthapuram, Kerala state, India, Friday, Dec.1, 2017. Dozens of fishermen were Friday rescued from the sea which is very rough under the influence of Cyclone Ockhi. An Indian fisherman who was rescued from the Arabian Sea is rushed to a hospital in Thiruvananthapuram, Kerala state, India, Friday, Dec.1, 2017. Dozens of fishermen were rescued from the sea which is very rough under the influence of Cyclone Ockhi.